Did you know about the time when Singapore saved the people in Sarawak by air-dropping cats? The operation cat drop happened in March 1960, when Singapore was still a British colony. Singapore did not have its own Armed Forces then, so, the airdrop was carried out by the Royal Air Force (RAF). The cats were however not local Singapore ones, but from Kuching, Sarawak. 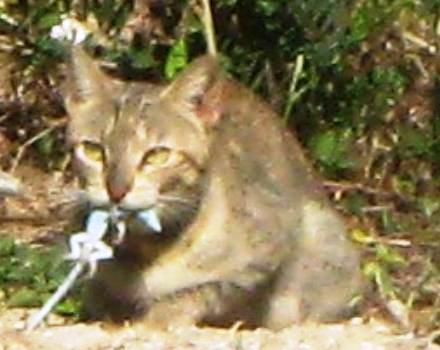 The 23 cats which were air-dropped were a gift to the people of Bario, whose crops were being ravaged by rats. The airdrop which besides the cats included over 3,000 kilograms of equipments and supplies, were parachuted into Bario which is in the Kelabits Highlands. 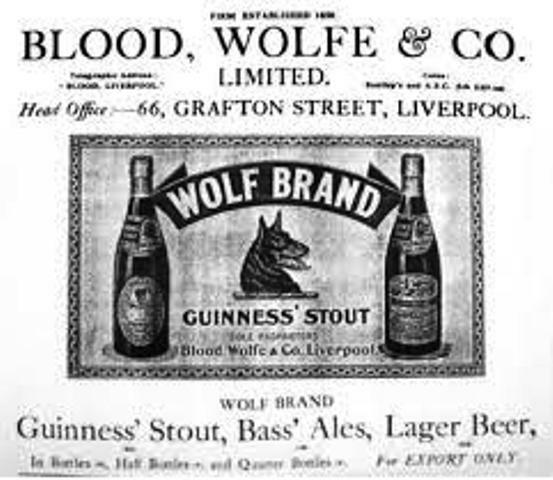 Among the supplies were 4 cartons of stout for the recovering village chieftain. 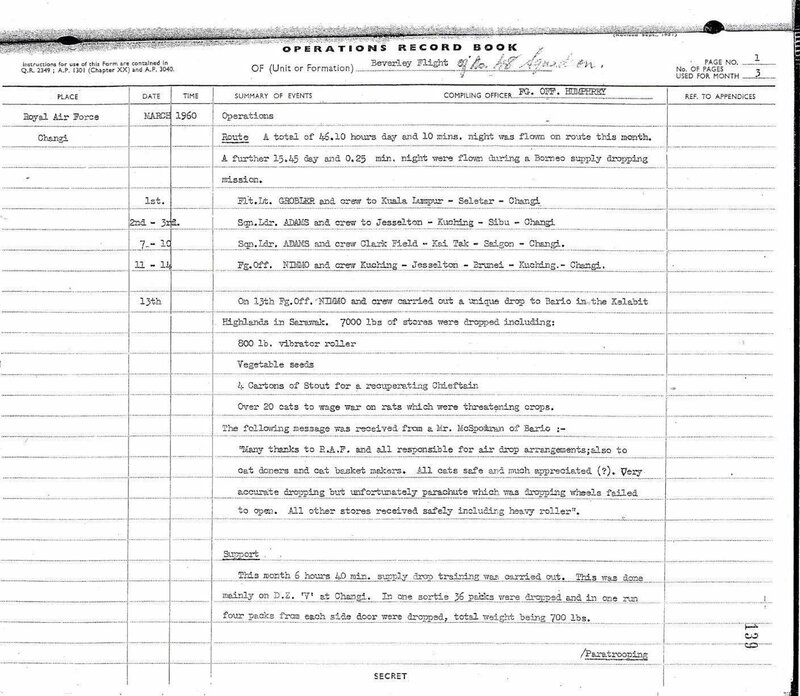 The RAF did several test runs before using a Beverly transport plane to carry out the operation. 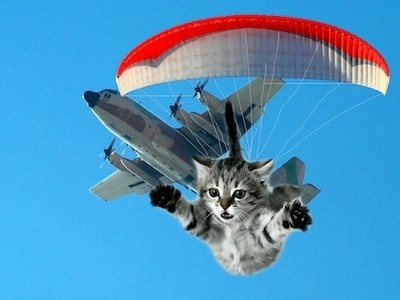 The cats were pushed out from a height of 400 feet and all of them landed safely. Unverifiable rumours suggest that rats multiplied in Bario after the World Health Organisation (WHO) sprayed DDT to control malaria carrying mosquitoes there. The mosquitoes died and malaria declined, but it also killed other insects, including wasps which fed on caterpillars. Without its natural predators, the caterpillars multiplied, destroying the thatched roof in the Bario village. The British gave the Bario people sheetmetal to be used as roof, but in an area with heavy tropical rain, the tin roof were unhelpful, as it kept the villagers awake whenever rain fell at night. The DDT-poisoned insects were also eaten by lizards, which in turn were eaten by the cats in the village. All the cats in Bario died, and the disruption in the food chain meant that rats multiplied, threatening the village with outbreaks like typhus and plague. This was when WHO sought the help of RAF to conduct Operation Cat Drop.